Lady Bunny Blog: SO CUTS TO SOCIAL SECURITY! Great news! 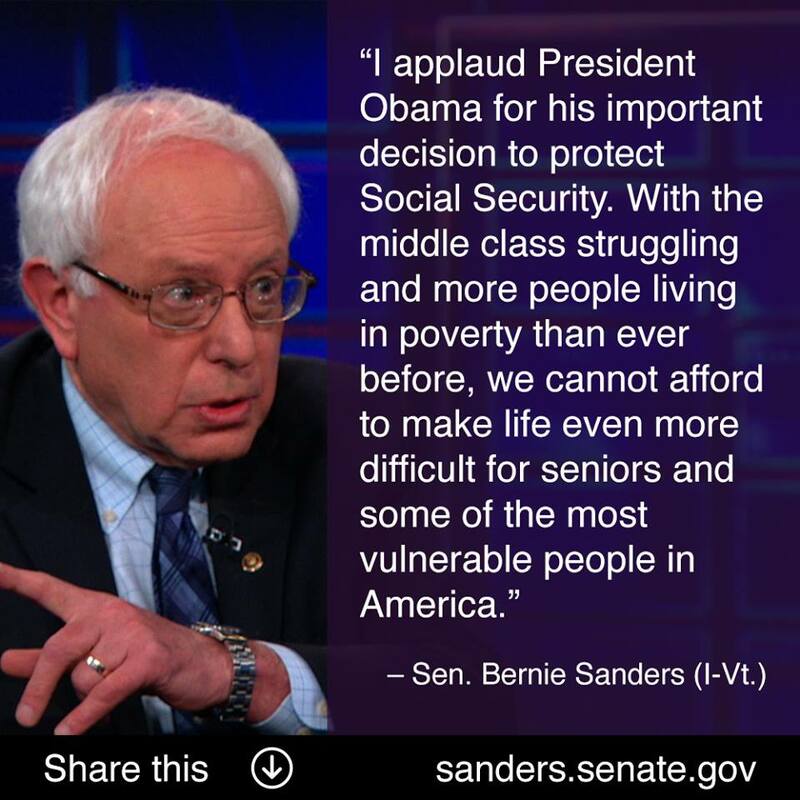 Obama has dropped cuts to Social Security from his 2014 budget. Before he suddenly became so concerned with income inequality a few months, Chained CPI cuts were in the president's budgets for the last few years. Thanks to everyone who signed petitions and kept the pressure on--it worked. For all of those who didn't sign a thing, I'm glad you're either independently wealthy. Or just independent of the knowledge is going to try to rip you off every chance they get. Or don't care about preserving your hard-won benefits. But it's never too late get involved. The next step is to join Elizabeth Warren and other progressives who want to strengthen, not cut, vital services like Social Security during an economic downturn. HUFFPO: "Great news! The Associated Press reported on Thursday that an unnamed Obama administration official (speaking on background) announced that the chained CPI will not be in President Obama's budget. Just so we all really believed this signal, the White House Office of Legislative Affairs emailed out the AP story a few minutes later. The announcement comes after 16 Senators, 117 House Members, and many progressive groups (including mine), uncertain whether the White House would renew last year's proposal to cut Social Security indexing, had all sent letters to the President, urging him drop it." "We have truly reached a tipping point. Recurrently Americans have joined together in a populist movement to advance the interests of "the people" against "the elite." Today, after many years of struggle, that new populist movement is rising to defend and expand Social Security. And the politicians had better lead or get out of the way."